ProDetec offers a versatile range of multi gas monitors from Industrial Scientific. 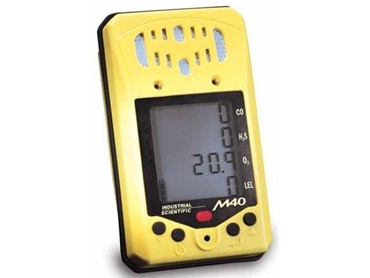 The M40 multi gas monitors are designed to detect CO, H2S, O2 and various combustible gases for a wide variety of hazardous and confined space applications. Housed in a rugged, impact-resistant case, M40 multi gas monitors deliver superior performance and durability in harsh environments while offering resistance to RF and electromagnetic interference. M40 multi gas monitors are available in a compact size and economical price, making them suitable as personal gas monitoring instruments.